Prevention is better than cure. 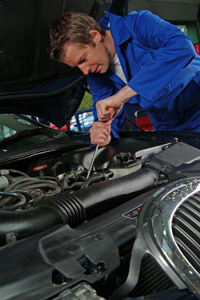 Due to advanced technology that goes into your Jaguar, specialist tools, equipment and expertise are required to keep them in good running order. 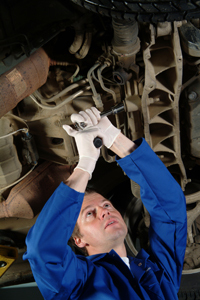 Regular maintenance can often highlight faults that can be put right before they become costly and possibly dangerous. So if you hear a strange noise, or something just doesn’t feel right, please contact us. We may be able to help without even seeing the car. Doing so could save you a great deal of money in the longer term, so act now! Here at Prestige Jaguar Ltd, we are passionate about Jaguars. In fact, we enjoy working on them almost as much as we do driving them! Such is our reputation that people travel from all across the length and breadth of Scotland to ask us to carry out work on their Jaguar. As a further sign of the excellent workmanship and customer service that we deliver, we regularly receive testimonials and referrals from our customers. If you want to deal with a team of dedicated experts who are as passionate about your Jaguar as you are, and who are also committed to offering their customers fair and competitive prices, it makes sense to deal with Prestige Jaguar Ltd.
We hope that you find this website helpful. Why not get in touch to discuss your requirements and for prices? Advice is free and we will do what we can to help. You can phone us using the number above, or you may prefer to drop us an email via the contact page. We hope to hear from you soon.